Posted February 13, 2013, in Alumni News, We R Arts and Sciences Student Spotlight. 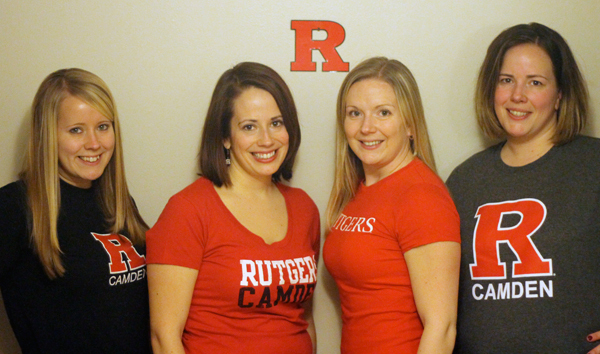 Attending Rutgers-Camden, and then becoming proud alumnae, is a family affair for the Sampson sisters. Anne Ehrke, Rebecca Powell, Amy Liberi, and Kate Sampson all graduated from the Camden College of Arts and Sciences. Despite their varied ages, interests, and majors, all four rave about their experiences at Rutgers-Camden, and credit the institution for the success they currently enjoy today. Anne, who majored in Spanish while at Rutgers-Camden, currently teaches at Marlton Middle School, where she teaches Spanish to over 700 students each year. She cites Dr. Eladio Cortes as a favorite professor, and fondly remembers the many nights she and her fellow students spent preparing for his class. The experience bonded Anne with her classmates, and she is still in close contact with at least one of her fellow Spanish majors. The hard work in her classes paid off, as Anne says, “Rutgers-Camden provided me with a strong educational foundation that I rely on every day as I teach Spanish.” Rutgers-Camden’s small size and its propensity to encourage students to engage with all subjects allowed Anne to continue her Russian studies in addition to honing her Spanish skills, as well, an experience of which Anne is particularly appreciative. 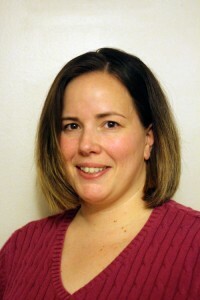 After her time at Rutgers-Camden, Anne earned two master’s degrees: a master’s degree in the art of teaching from Marygrove College and a master of arts in educational administration and supervision from Rider University. Amy, a graduate of both the Camden College of Arts and Sciences and the Edward J. Bloustein School of Planning and Public Policy, reflects that “Rutgers-Camden really allowed me to grow as a person and define my life goals.” As a student, Amy was very involved with the Honors Student Organization and the Honors College Advisory Board. 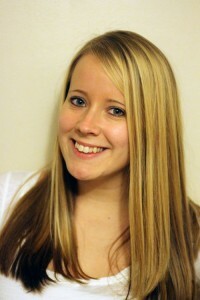 In her senior year, she served as president of the Student Governing Association. She notes that “serving as a student leader on campus strengthened my organizational, communication, and event planning skills and prepared me well for both my current job, and for my pastime, which is wedding planning.” Amy recently turned her passion for wedding planning into a business, and started her own company, Always a Planner, LLC. While an undergraduate, professors such as Dr. Robert Wood and Dr. Jon Van Til opened her eyes to the fields of sociology and urban studies, respectively, influencing her choice of major, her eventual decision to pursue urban planning as a career, and her love of international travel. 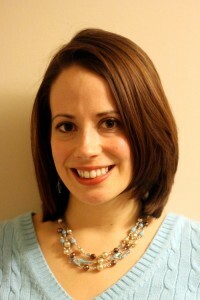 Amy returned to her roots in 2011 when she was hired as a recruiter for both the Graduate School and University College. Today she serves as the Graduate Student Services Coordinator and loves the fact that she has the opportunity to “come up with new ideas for programming and events that will add to our students’ experiences,” giving them the chance to enjoy their time at Rutgers-Camden as much as she did (and still does!). Kate, the youngest and most recent graduate of the sisters, has a particularly unique Rutgers-Camden story to tell. For four years, she served as the Scarlet Raptor! Kate calls being the Raptor “amazing,” and has a long list of all the fun things she got to do while dressed up as the campus’ mascot – dancing on the dugouts at Campbell’s Field and cutting the ribbon at the new Athletic and Fitness Center are two that top the list. Her opportunity to serve as the Scarlet Raptor came about because of her work with the IMPACT Booth and the Office of Campus Involvement (OCI); Kate says “having the opportunity to work on campus was the best thing that could’ve happened to me in college” because of two reasons: it allowed her to become more involved on campus and made her realize that art was the major for her. Both jobs required her to advertise events on campus, and she really enjoyed the fact that she could use art to connect with others. Associate Professor Elizabeth Demaray was another driving force that made Kate realize how much she enjoyed art and how she wanted it to be her life’s work. Currently, Kate is serving as a long-term substitute teacher at Marlton Middle School, teaching art to students in grades 6-8. Needless to say, the Sampson sisters are all incredible examples of the benefits and advantages of having a Rutgers degree. Their education at Rutgers-Camden has helped them to thrive professionally, while the memories made on campus let them fondly remember their time as a college student. Rutgers-Camden is proud to have such remarkable alumnae as the Sampson sisters. Page last updated by Faculty of Arts and Sciences at 9:32 am July 9, 2015 . This page was printed from http://fas.camden.rutgers.edu/2013/02/13/sampson-sisters/ at 1:42 AM Monday, April 22, 2019.